The rand ended the day almost a percent weaker at R14.27 to the greenback. The rand ended the day almost a percent weaker at R14.27/$. The currency opened at R14.33/$. It's trade ranged from R14.11 to R14.34. State arms manufacturer Denel terminated the employment of Group CFO Odwa Mhlwana. He was found guilty of all disciplinary charges relating to irregular expenditure and failure to act in the best interests of the company, a statement to shareholders read. 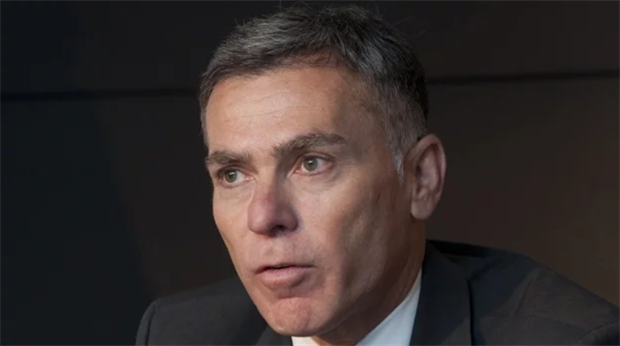 Denel has appointed Mr Wim de Klerk, former CEO of ArcelorMittal SA, as acting Group CFO. "A formal process will commence to recruit a permanent GCFO,"the statement read. Tongaat Hulett on Friday released its half-year results for the period ended September 30. The sugar company reported a 64% decline in operating profit to R530m, compared to R1.5bn reported for the same period last year. revenue increased 9% to R8.8bn, compared to R8.1bn compared to the same period last year. The group reported a headline loss of R87m, compared to earnings of R661m previously. "Tongaat Hulett recognises the imperative to restore returns for its shareholders to an acceptable level, improve cash generation and reduce debt levels. "Therefore, the business is accelerating a review process across all its operations with the objective of unlocking value," the board said in a shareholder notice. "In light of the current debt levels, tight cash flow management will continue to receive focussed attention across the business. Various initiatives are in progress to reduce working capital requirements, limit capital expenditure and improve operating cash flows,"the board explained. "Tongaat Hulett expects an improved cash flow performance in the second half of the financial year. "The unwinding of Tongaat Hulett's black economic empowerment structure is expected to be completed by 31 January 2019," the board said. The company will focus on improving its financial performance. The share was trading 7.32% weaker at R60.53 by 16:45. The Supreme Court of Appeal has upheld Sasol Oil's appeal against a Tax Court ruling. The Tax Court in June 2017 ruled in favour of SARS, in a matter related to Sasol oil's international crude procurement activities for the tax years between 2005 and 2007. In its 2018 financial statements Sasol Oil made provision of R1.3bn - including penalties and interest covering the 2005 to 2014 tax years of assessment, which the litigation covers. But on Friday the SCA set aside the Tax Court ruling. "The Court effectively confirmed Sasol Oil’s view that the ground for additional taxation of Sasol Oil’s international crude oil procurement activities has not been fulfilled. On the basis of this judgement, Sasol Oil will reverse the accrual of R1.3bn," the group said in a notice to shareholders. The dollar continued its advance after the Federal Reserve stayed on track for a December rate hike.Mining and energy shares led a drop in Europe’s main equity gauge and most industrial metals fell, while disappointing forecasts from Richemont and Thyssenkrup also weighed on the index. Futures on the Dow Jones, S&P 500 and Nasdaq slipped.Oil extended a run of declines, heading for its longest losing streak on record. In Asia, financial shares performed particularly poorly following news that Beijing plans to set quotas for banks to pump credit into private companies. Treasury yields edged lower. Brent crude oil sank Friday under $70 per barrel before a weekend meeting of major oil producing nations in Abu Dhabi. Life Healthcare expects improved financial results for the year ended September 30, 2018 - due to better than expected performance of Alliance Medical, the group said in a trading statement update to shareholders on Friday morning. Earnings per share is expected to be between 103.9c and 110c, this is growth between 67% and 77% compared to the previous year's 62.2c. Earnings have been impacted by overall improved performance of the business, the inclusion of Alliance Medical results and its subsequent acquisitions. The weakening of the rand against the British Pound and Polish Zloty will also have a bearing on the earnings. Headline earnings per share is expected to be between 104.5 cents and 112.2 cents (growth between 35% and 45c). Life Healthcare shares which opened at R25.01 and declined to R24 shortly after. It peaked at R26.05. By 12:55 the share was trading 2.05% weaker to the previous close at R25.39. Shares in luxury goods company Richemont [JSE:CFR]slumped more than 5% on Friday after it posted its unaudited results for the six months ended September 30. The group's shares opened at R100.65 on Friday morning, and were trading 5.50% weaker at R97.66 at midday. While profit more than doubled to €2.3bn, the retailer said this was primarily due to a post-tax non-cash gain of €1.38bn on the revaluation of existing shares in online luxury retailer YOOX NET-A-PORTER, or YNAP. YNAP, which is owned by Richemont, delisted from Milan Stock Exchange in June. During the six months Richemont also acquired premium pre-owned timepiece retailer Watchfinder, and divested from handbag company Lancel. 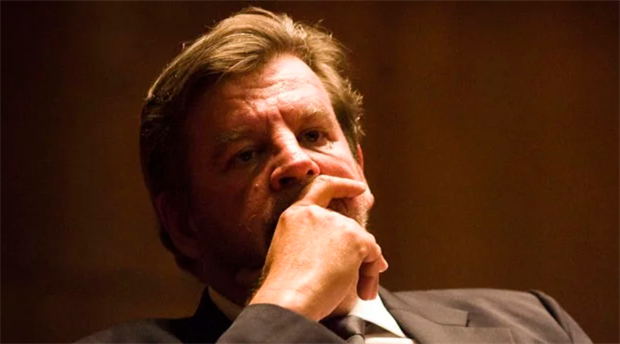 "These strategic changes have had a material impact on our operating profit and net cash position in the period under review," Richemont chairperson Johann Rupert said. Net1 stocks were down more than 5% on the back of the release of its first quarter results which reflected declining profit. The group is reconfiguring its business since its contract with the SA Social Security Agency ended. This has affected Cash Paymaster Services (CPS) revenue. "CPS revenue declined 87% and it incurred significant operating losses due to 91% fewer grant recipients paid by CPS and the contract price not yet being adjusted. "In order to fulfill our constitutional obligation, it maintained its full payment infrastructure and associated cost base despite National Treasury's proposed price increase not being ratified by the Constitutional Court during the quarter, resulting in a $15.7m (about R225m) operating loss," the report read. Overall revenue declined 7% to $125.8m (about R1.8bn) compared to the same period last year. Net loss per share was -$0.09, compared to earnings of $0.34 reported the for the same period last year. The share price which opened at R91 was trading at R90 by 09:50. Hong Kong shares sank in the morning session on Friday after the Federal Reserve hinted it would stick with its programme of interest rate hikes. 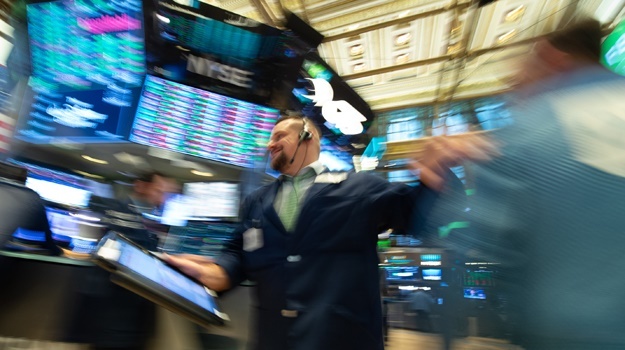 European stocks dropped at the open Friday as a midweek rally faded further, with investors focusing on the US interest rate outlook and falling oil prices heading into the weekend. 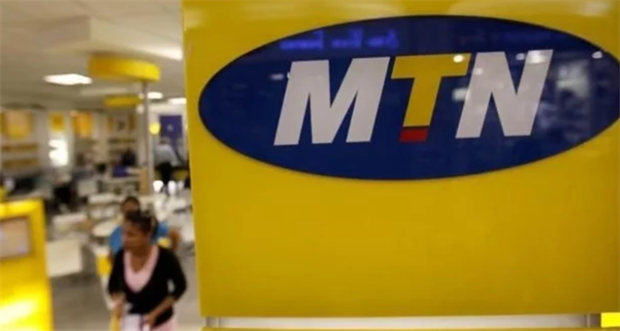 The MTN Group is close to securing a deal with Nigeria’s central bank over an order to repay $8.1bn it is alleged to have illegally taken out of the country, according to a person familiar with the matter. The Central Bank of Nigeria will on Friday meet the four banks accused of facilitating the transfers - Standard Chartered, Citigroup, Stanbic IBTC and Diamond Bank - and that Lagos meeting could end the saga, the person said. A Chinese company has come up with an innovative way to placate creditors - as long as they like ham. Chuying Agro-Pastoral said holders of 271 million yuan of its debt have agreed to take ham or pork gift packages instead of interest payments, according to a filing on the Shenzhen Stock Exchange on Thursday. The Zhengzhou-based pork producer failed to repay 500 million yuan of local bonds due this week amid a cash crunch caused by the spread of African swine fever. Futures in New York are slipping for a 10th day, extending a dramatic plunge that’s dragged prices down over 20% from a 2014-high just five weeks ago. The slump has rattled producers, and the Organization of Petroleum Exporting Countries has signaled it may cut output next year - an option that’ll be part of talks when the group meets with partners in Abu Dhabi on Sunday.Oil’s slump has been exacerbated by a US decision to allow eight countries to continue importing from Iran even after it hits the OPEC member with sanctions. That revived concerns of a supply glut, in contrast to earlier fears over a crude crunch due to shrinking exports from the Persian Gulf state. Pledges by other producers such as Saudi Arabia to pump more and record American supply as well as rising stockpiles also weighed on prices. Discovery raised R1.85bn in its accelerated bookbuild, as the health insurer and financial services provider cleared another hurdle for its banking business. Tongaat Hulett shares were down more than 3% on the back of its six-month trading statement which indicated that operating profit would be down 64% compared to the same period last year. "Shareholders are advised that Tongaat Hulett’s operating profit is expected to be R530m, which is 64% below the R1.471bn recorded in the six months ended 30 September 2017," the board said in a notice to shareholders. "The decline in operating profit is largely attributable to land transactions that were not concluded by 30 September 2018. "Furthermore, local market conditions in the South African and Mozambique sugar operations negatively impacted on both revenue and cane valuations which reduced operating profit." The board also expects a headline loss of R87m for the six months ended September 30, 2018. This is down from the headline earnings of R661m compared to the same period last year. As a result a headline loss per share of 74c is expected, compared to headline earnings of 574c reported for the same period last year. "A loss per share of 94 cents is expected for the six months ended 30 September 2018, a reduction of 115% compared to earnings per share of 629 cents reported for the comparative period," the notice read. The interim results are expected to be released later at 16:00. Anglo American Platinum is hosting an investor and analyst visit to China to showcase demand for platinum group metals, from November 12, 2018, the group said in a notice to shareholders. "The visit will focus on the growth of fuel cell vehicle production in China and to understand the changing dynamics of the platinum jewellery market in China," the notice read. Production is now expected at 2 million ounces from an earlier forecast of as many as 2.08 million ounces to 2.10 million ounces, the Johannesburg-based company said in a statement on Friday. Gold Fields’ plan to cut more than 1 500 jobs to restructure its struggling South Deep gold mine in South Africa met with opposition after workers embarked on a crippling strike on November 2. This past week currency moves were dominated by the US mid-term elections, Bianca Botes, corporate treasury manager at Peregrine Treasury Solutions, said in a market update. "The dollar slumped leading up to the election outcome, as investors steered away from the greenback, but the mighty dollar is once again on the rise as treasury yields tick up alongside the currency," she said. "Locally we received confirmation that the national elections will be held during May 2019. "While our political landscape remains largely unchanged, it is important to note that elections always contribute to market volatility and that the outcome of these elections will also drive certain economically positive or negative policy, depending on the winning party and their balance of power in Parliament." The rand which dipped below the R14.$ mark during the week, on the back of the US mid-terms, lost most of its gains near the end of the week, Botes noted. "However it is still trading some 30c stringer against the greenback," she said. "The rand is expected to continue its bumpy ride but, for now, the levels are great to get your hands on some foreign currency." Botes said the local currency is expected to trade between a range of R14/$ and R14.27/$. While analysts from NKC Economics expect it to trade between a range of R14/$ and R14.30/$. "The rand has retreated to above the R14.00 level, as the mid-term knee-jerk seems to have run out of steam," Currency dealer at TreasuryONE Andre Botha said in a market update. "Looking at the market reaction as a whole it mostly stuck to the script when investors predicted the outcome of the midterms and the possible market moves. "We have seen EM's on the front foot with an initial reaction but the hype slowly died down," said Botha. "Another event that stuck to the script was the US Fed that kept interest rates on hold as was widely expected. "The language from the Fed also did not waiver from the previous meeting with a December rate hike looking on the cards with gradual rate hikes next year. This hardly registered in the market as the fade in euphoria from the mid-terms was the main story,"Botha explained. Friday is expected to be a quiet day for the markets - no significant events or data will be released on Friday. "The rand will stay in narrow trading ranges, and today could be a dull day as we head into that weekend," Botha said. The rand opened at R14.13/$ on Friday morning. The US Federal Reserve Bank on Thursday kept interest rates unchanged at 2.25%, in line with market expectations. The Fed is expected to hike at the December meeting, and then gradually in 2019, according to a market update from TreasuryONE. US equities closed down and Asian equities is also in the red this morning. US 10Y treasury yields edged lower to trade closer to 3.20% again from 3.25%. Italian budget deficit is in the headlines again with the EU warning Italy that the EU’s limit of a 3% budget deficit is dangerously close. Emerging markets has given up some of the gains this week with the ZAR almost back to where we started the week. The rand was trading at R14.19/$ at 09:15.